Thanks to improved food, medicine, and living conditions, the average age of the population is increasing throughout the modern industrialized world. Yet, despite the recent upsurge of scholarly interest in the lives of older people and the blossoming of historical demography, little historical demographic attention has been paid to the lives of the elderly. A landmark volume, Aging in the Past marks the emergence of the historical demographic study of aging. Following a masterly explication of the new field by Peter Laslett, leading scholars in family history and historical demography offer new research results and fresh analyses that greatly increase our understanding of aging, historically and across cultures. Focusing primarily on post-Industrial Europe and the United States, they explore a range of issues under the broad topics of living arrangements, widowhood, and retirement and mortality. 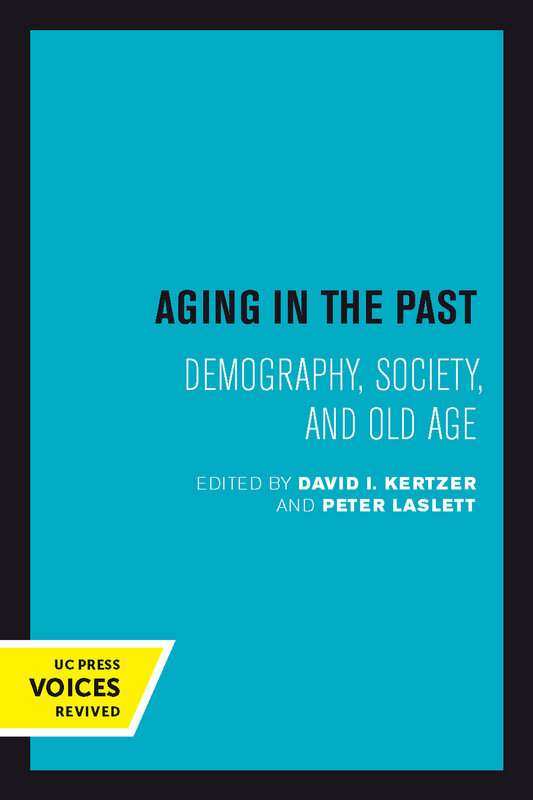 This important work provides a much-needed historical perspective on and suggests possible alternative solutions to the problems of the aged. This title is part of UC Press's Voices Revived program, which commemorates University of California Press’s mission to seek out and cultivate the brightest minds and give them voice, reach, and impact. Drawing on a backlist dating to 1893, Voices Revived makes high-quality, peer-reviewed scholarship accessible once again using print-on-demand technology. This title was originally published in 1995. David I. Kertzer is Dupee University Professor of Social Science and Professor of Anthropology and History at Brown University and the author of several books, including Sacrificed for Honor. Peter Laslett is a Fellow at Trinity College and cofounder of The Cambridge Group for the History of Population and Social Structure.